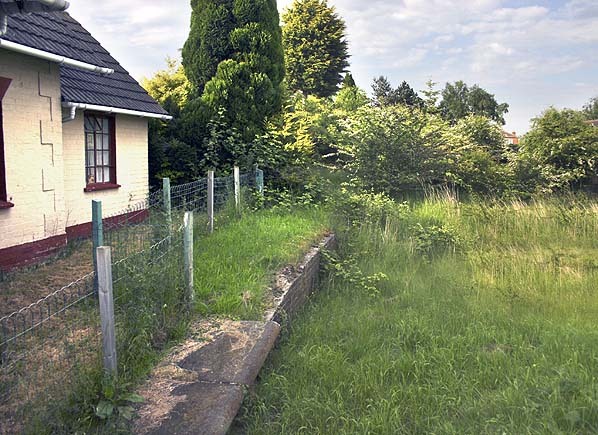 Present state: After closure in 1970 the track was lifted in 1971 and most of the station was quickly demolished leaving a small remnant of the south end of the down platform adjacent to the gate house. The south end of the main station building survives as a private residence, this was not the station master's house which was at the north end. The large goods shed is now in industrial use as a potato warehouse for PJP Food service. The weigh office can also be found alongside the road to the goods shed. opening on 3rd September 1848 and was the southern terminus until the line was extended south to Boston on 2nd October 1848. Although it only served a very small village it became a very important junction station with much better facilities than would normally be provided at a station sited in the middle of nowhere; it survived almost unchanged until final closure in 1970. The station was originally called Firstby, a typically railway error but this was changed to Firsby; it was also sometimes knows as Firsby, Spilsby & Wainfleet. 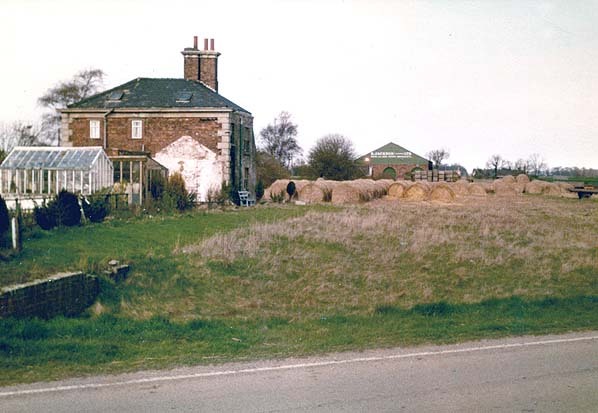 Firsby first became a junction with the opening of the branch to Spilsby in 1868.
curve was required allowing some trains to proceed directly to Skegness, bypassing Firsby. Powers to build the curve were obtained in 1874 but allowed to lapse. Construction went ahead however and the curve was already complete when authorised by Parliament on 18th July 1881. Two new signal boxes were provided for the junction named Firsby South and Firsby East. Many trains continued to run into Firsby and then reverse onto the branch. 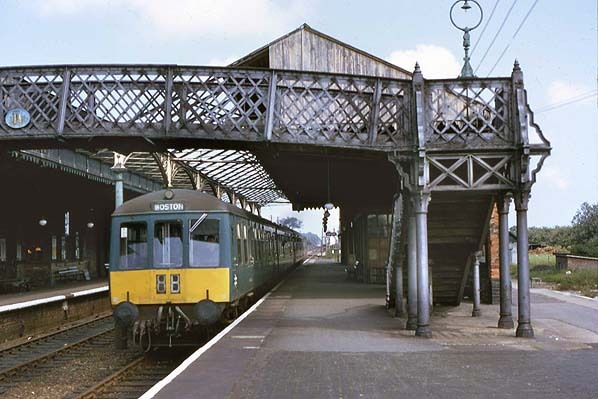 their connection to Skegness was substantial with hundreds and sometimes thousands of passengers passing through the station at a weekend and the platforms would be teeming with families and their luggage. During the late 19th century most holidaymakers still travelled by train and Firsby was one of the busiest stations on the east coast. 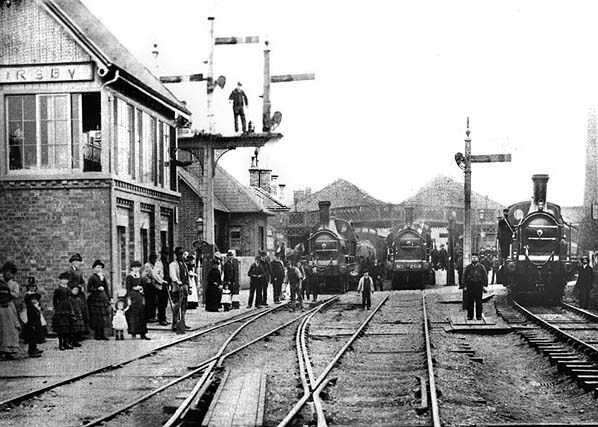 The station was the major employer in the area and between the station master and his assistants, ticket office staffs, ticket inspectors, signalmen, porters, catering staffs, drivers, firemen, guards and track maintenance staff for three separate railway companies, several hundred people worked at or from Firsby station on a regular daily basis. portico which opened onto an L-shaped booking hall. directly opposite was the door to the booking office. Passengers turned left then right along the ‘L’ of the booking hall: to the left was the door to the general waiting room, to the right the ticket issuing windows, ahead the arch leading to the platform. Access to the parcels office was also through the main entrance. Next to the general waiting room, was an independently run refreshment room. The two platforms were spanned by an overall roof. 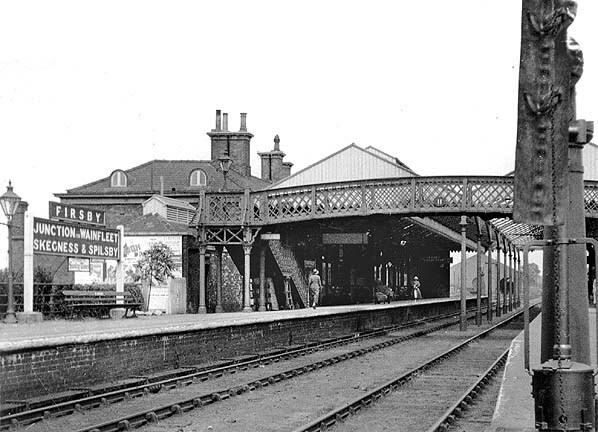 In the early 1880s, a footbridge was provided spanning the main line at the south end of the overall roof and in August 1885 a waiting room was added to the up platform. 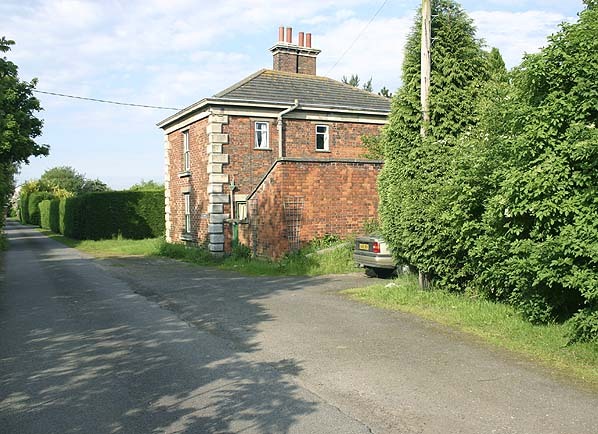 The station signal box was on the down side of the line to the south of the level crossing with a gate house at the south end of the down platform adjacent to the crossing. There was a pumping station and water tower to the east of the bay platform and water columns at the north end of both platforms and the south end of the up platform. platform and passengers for the up platform and the Skegness platform used a gate by the level crossing with most passengers entering the booking hall from the platform. with a long goods dock, a large brick goods shed with two sidings running through it and a 1.5 ton crane alongside on the down side of the line with cattle pens on the up side where there was also a private siding to a nearby mill. 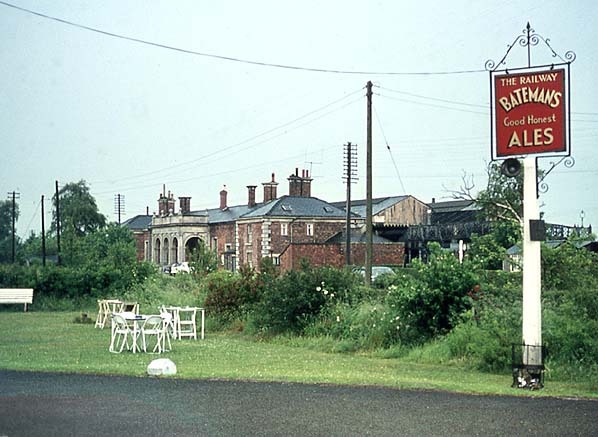 The station was served by two public houses, one of which doubled as the Firsby Railway Hotel. There are several mentions in old records of a second drinking establishment around 1852, called Whyley's Beerhouse, that stood adjacent to the station. 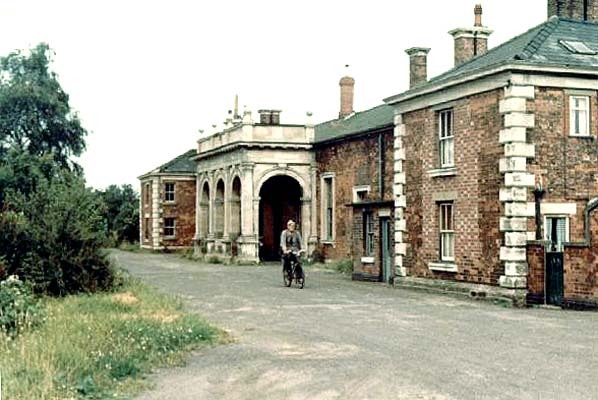 Between 1943 and 1958 Firsby station was kept busy as the nearest railhead for RAF and later USAF airmen travelling to and from the nearby Spilsby airfield at Great Steeping. the Manchester Sheffield & Lincoln Railway into Grimsby Town station. Both the ELR and L & Y proposals received royal assent on 26 June 1846. Once the bill was passed by parliament, the London & York name was dropped and the title The Great Northern Railway (GNR) was adopted. between Peterborough and Lincoln (the Loop Line) not opening until 17th October 1848. A line from Louth to Mablethorpe was first proposed in 1864 running from the ELR at Alford to Mablethorpe but, despite obtaining an Act, the company couldn’t raise sufficient capital. In 1871, the Louth and East Coast Railway was formed to build a line from Louth to Mablethorpe via Saltfleetby. The company received its Act on 18th July 1872 and the GNR agreed to work the line. Work started in September 1875 with the optimistic intention of opening in the summer of 1876. Progress was however slow and a second Act was obtained on 17th May 1877 to extend the time allowed to finish the line. The Louth & East Coast Railway opened on 16th October 1877. As well as Mablethorpe holiday traffic, the line passed through rich grazing land which would also bring additional income with livestock being carried to Louth Cattle Market. Under the 1884 Harbour & Dock Act, the Sutton and Willoughby Railway Company was formed to build a line from the new Sutton Docks to Willoughby on the ELR in order to distribute locally caught fish to markets around the country. The S & WR had little trouble getting their Bill through Parliament on 28th July 1884. Work started at Willoughby in June 1885 and was completed in little more than a year. After protracted negotiations the GNR agreed to work the line which opened on 4th October 1886. The original 1848 station at Willoughby closed with a new station opening at the junction 132 yards to the north. proposed to build a direct link between Lincoln and Skegness. In 1884 the Lincoln & Skegness Railway Bill was approved by the House of Commons but defeated in the Lords following opposition from the GNR who refused to work the line. Halt. 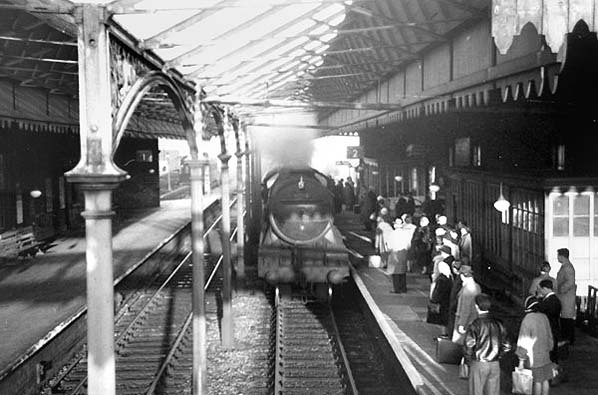 The new service consisted of a small engine attached to a single coach, although at busy times additional coaches could be added. There were up to 8 return trips a day on this service. Railway. An alternative scheme was also suggested, with a new line being built from Kirkstead on the Loop Line to Little Steeping on the ELR. In 1923 the Great Northern Railway became part of the London Northern Eastern Railway. During 1924 most of the Grimsby fish trains were routed on the ELR when it was realised that the line was less congested and the fish could arrive more quickly at its final destination. Weelsby Road and Grainsby halts closed in 1940. In 1948 the line became part of British Railways following nationalisation, but with the increasing popularity of road transport there was soon talk of further closures. The Louth - Bardney line closed on 5th November 1951 and Louth - Mablethorpe closed on 5th December 1960. Holton-le-Clay between Louth and Grimsby closed on 4th July 1955 and the remaining stations on that section of line closed on 11th September 1961 with the exception of North Thoresby. services from timetables. The Beeching Axe was about to fall. 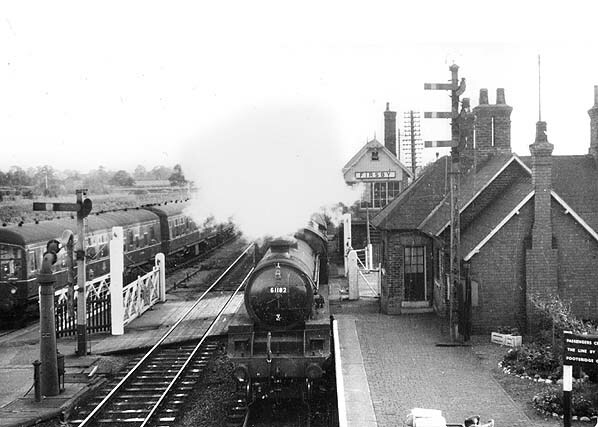 Woodhall Junction - Boston closed on 17th June 1963. British Railways also proposed closure of the Lincoln - Skegness line on 6th June 1964 and it was soon clear that the Boston - Grimsby line was also under threat. The Beeching Plan proposed the closure of virtually the whole of East Lincolnshire to railway traffic. Peterborough – Grimsby via Boston, Lincoln – Firsby via Bardney, Willoughby - Mablethorpe and the Skegness branch. The largest public enquiry held by the Transport Users' Consultative Committee (TUCC) took place at Skegness on 15/16th September 1964. By the time the public hearing took place BR were able to claim fewer passengers were likely to suffer hardship because people had been deterred from using the services by the reductions. After vigorous and often heated debate committee concluded that the British Railways board should re-examine its proposals. This it did and in due course once again proposed closure, this time with the exception of the Skegness line. A second TUCC inquiry was held at Skegness in May 1968 and its decisions were again submitted to the Transport Minister who this time supported the Board’s proposals. users of the service during the rest of the year to justify retaining the service. Closure was announced for 5th October 1970 with the last train running two days earlier. 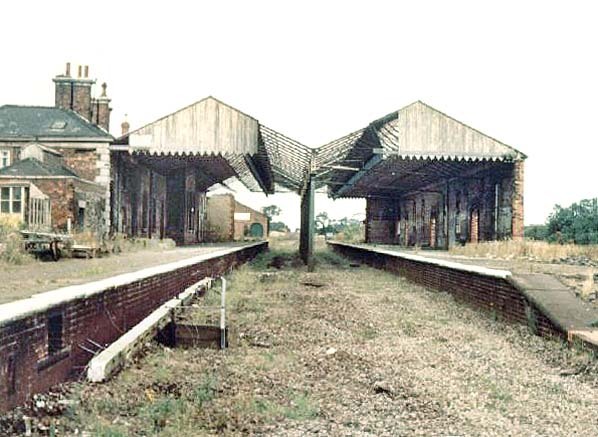 After closure, British Rail lifted the track and ballast in 1981 and demolished all the remaining buildings (except Louth itself which was listed) in order to deter the preservationists. The Grimsby-Louth Group became the Grimsby-Louth Railway Preservation Society a group of volunteers whose aim was to rebuild the line. The original aim was to restore the whole line from Grimsby to Louth. the line from Louth to Grimsby is no longer possible, due to the opening of a bypass on the track formation near Grimsby. However, it’s hoped eventually to reconstruct the 10 miles of track between Louth and Waltham. To see other stations on the East Lincolnshire Railway click on the station name: Hainton Street Halt, Weelsby Road Halt, Waltham, Holton Village Halt, Holton-le-Clay, Grainsby Halt, North Thoresby, Ludborough, Utterby Halt, Fotherby Halt, Louth, Legbourne Road, Authorpe, Aby, Alford Town, Willoughby 1st, Willoughby 2nd & Burgh-le-Marsh. Firsby station looking north c.1880s. A mixed train on the left is for the Spilsby branch with a Boston train in the middle in the up main line platform and a Skegness train on the right. Firsby station looking north in June 2006. This is the only part of the platform to survive. The gatehouse is seen on the left. Firsby station forecourt in June 2006, this is the only remnant of the large station building to survive.